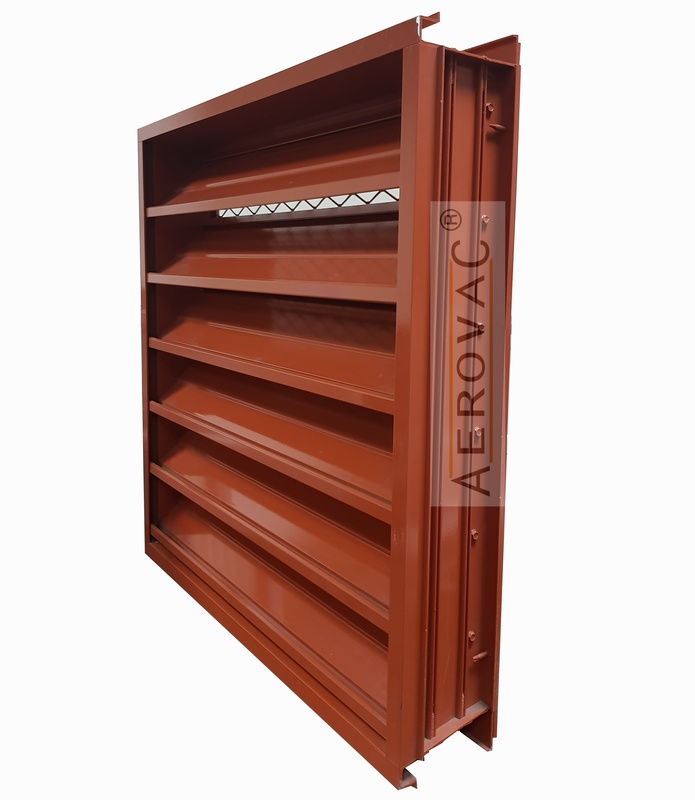 Composed of the frame and horizontal blade assembly, manufactured from high quality extruded aluminum profiles with the advantages of corrosion resistance and rigidity. Blades are fixed rigidly to the main frame by rivets. Blades are set at an angle of 45 degrees to the horizontal with 40 mm spacing. The louver is fixed with an opposed blade damper to ensure positive control over the flow of fresh airstream. Damper blades can be operated manually by a projected lever. Total structure is weatherproofed and blades are inclined downward to protect against rainwater. The structure provides around 45% effective pressure area.